SPACIOUS/ CASUAL LAKEFRONT LEISURE HOME WITH DOUGLAS LAKE'S ONLY PERMITTED PRIVATE FISHING PIER!!! Offered fully furnished. 3 levels with prime year-round views & private access to beautiful Douglas Lake. Ideal for large family retreat or ....or a couple desiring space for multiple weekend or seasonal guests. 6 total bedrooms and 4 full baths. 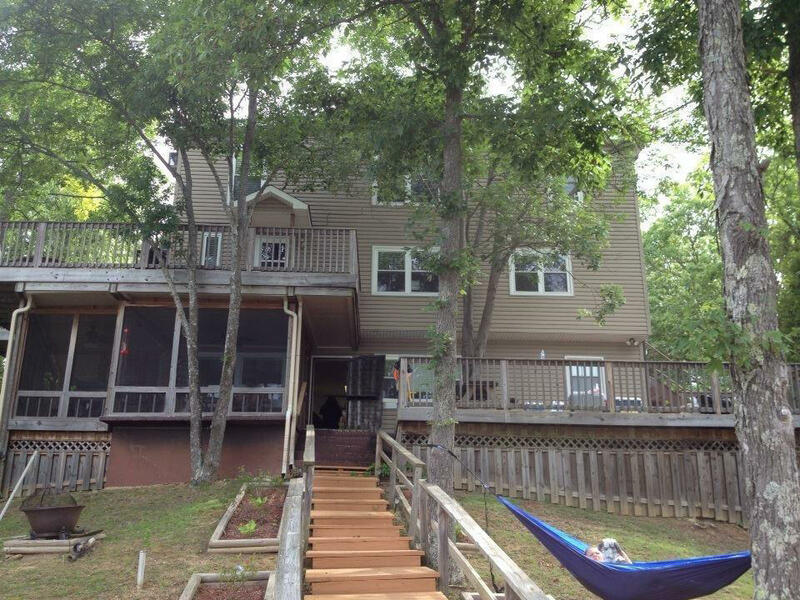 Large deck areas/gazebo lake overlook and screened porch for group entertaining. Lower level is 2 bdrm apt. w/ 2nd full Kitchen. Upper levels offer spacious indoor space for group activities, games, relaxing, reading. Second and third floors have combination of 4 bedrooms and 3 full baths, complete kitchen, with accompanying study and sunroom. Pending Contract Prior to Furrow Auction.